The two main irrigation systems on the Wind River Indian Reservation could hardly be more different. The Bureau of Indian Affairs manages one, a sprawling network of canals running south and east of the Washakie Reservoir and the Little Wind River. Local water users run the other, a smaller system in Crowheart (pop. 141) between Fort Washakie and Dubois. Much of the system that the BIA directly controls ran dry seven weeks ago. The system that local users run — on paper they are contractors working for the BIA — will deliver water until the irrigation season ends in early October. Many ranchers on the BIA-controlled system are culling their herds because they can’t grow or buy enough hay to feed their cattle. Irrigators on the Crowheart system have prospered, even during a drought that has dragged on, with an occasional wet year, for more than a decade. Water fees on the BIA-run system are $21 per acre per year, whether water is delivered for the full season or not. In Crowheart, users pay $14 per acre. Every acre in Crowheart is leased to a farmer or rancher, according to the local irrigators who control the system. Not so in the lower system. Anyone who drives the back roads north of Lander sees unplanted fields overgrown with knapweed. 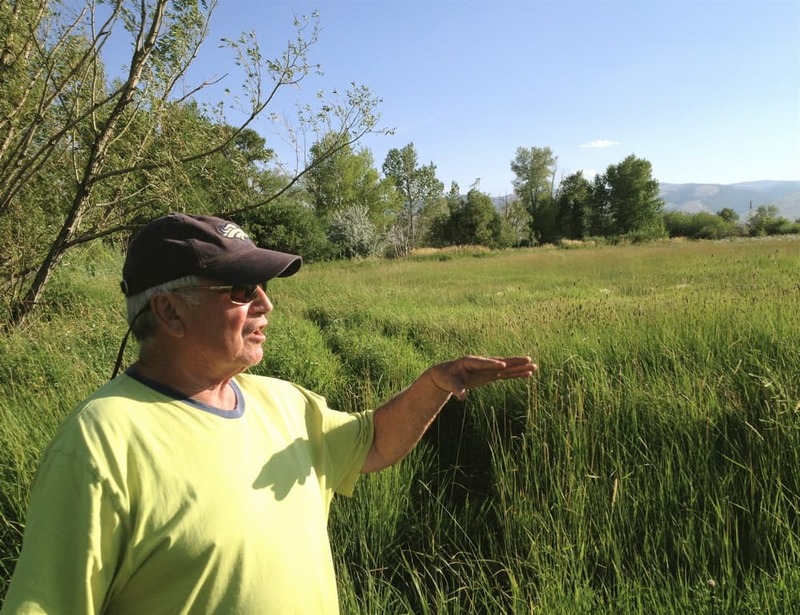 Most of the ranchers and farmers there, south of Fort Washakie and Ethete, draw water from Ray Canal, which branches into a web of irrigation canals, laterals and ditches fed by the Washakie Reservoir and the Little Wind River. Ray Canal has been dry since about August 1. 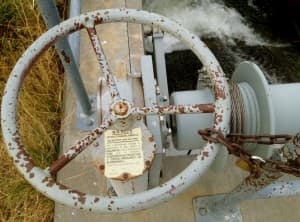 This is the second consecutive year that Ray Canal, a section of the system that irrigates almost 11,000 acres, ran out of water when nearly half the irrigation season remained. 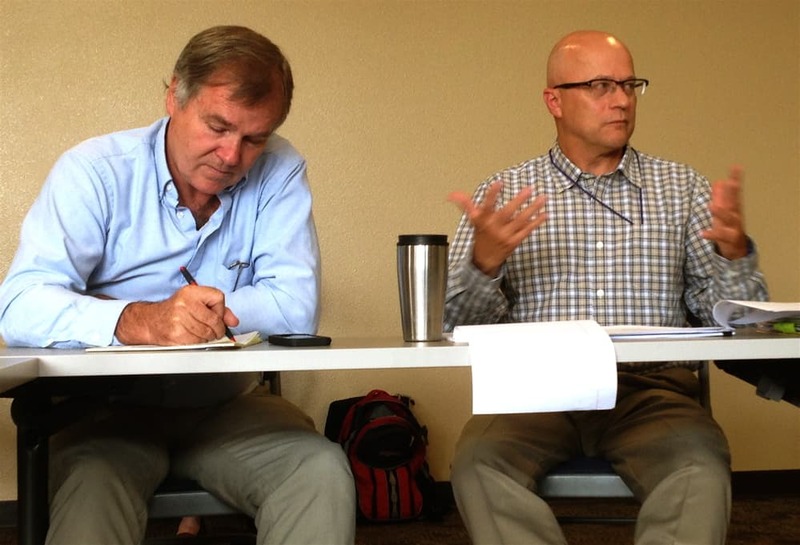 Even so, what strikes a visitor first at water-user meetings in Fort Washakie and Crowheart is less a difference in irrigation effectiveness than a contrast in culture. The water users in the BIA system are dependent on the decision-making of the agency, which runs a locked system. Federal employees — the BIA ditch riders — open and close diversion structures and headgates in response to requests from the water users, provided that those requests do not conflict with the directions of the BIA managers. Open or closed, the gates controlling water delivery are locked in place with padlocks belonging to the federal government. And when water doesn’t flow, the users get mad. The Crowheart system is open. Users talk among themselves about how to push enough water to everybody’s fields. Headgates are not padlocked. Water users make collective decisions about who gets how much water and when. Irrigators open and close their own headgates. The board encourages everyone to think about water for their neighbors downstream in addition to water they need themselves. Alexander first formed a formal users group in 1997 with 12 irrigators on A-Canal, a small part of the 10,500-acre Crowheart system. In 2005, irrigators on the Dinwoody Lake system formed a second users group. Although the two groups are separate nonprofit organizations on paper, their boards overlap and they hold joint meetings on Monday mornings. Alexander chairs both boards. For the most part, users hold practical, civil discussions at those meetings. If a user goes rogue and insists on more than his share of the water, the local board can lock his headgate. But by all accounts this happens only rarely — not least because everyone usually has enough water. Farmers and ranchers on Ray Canal point to the burned patches of yellow grass that stripe their hay fields even after the recent rains. They say the Bureau of Indian Affairs is simply not up to the task of managing water delivery for the nearly 40,000 acres of land under irrigation in the Wind River Irrigation System. But there is little that the irrigators can do besides complain. They pay $21 per acre per year to receive water, but they have little practical input into BIA policy. Wind River Water Resource Control Board, which advises the tribes and the tribal water engineer’s office, gives local irrigators a voice. But members wonder if the BIA listens. 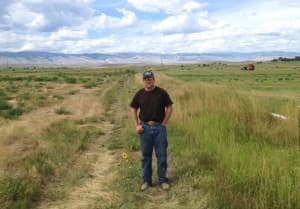 After a year of severe drought, and what many on the irrigation system called gross mismanagement in 2012, the water board, the tribal water engineer and the Joint Business Council of the Eastern Shoshone and Northern Arapaho Tribes called on the BIA to dismiss Brent Allen, the local project manager, before the irrigation season. Chief among many complaints of the tribes and users is what they see as the agency’s — and more pointedly Allen’s — failure to distribute water fairly. 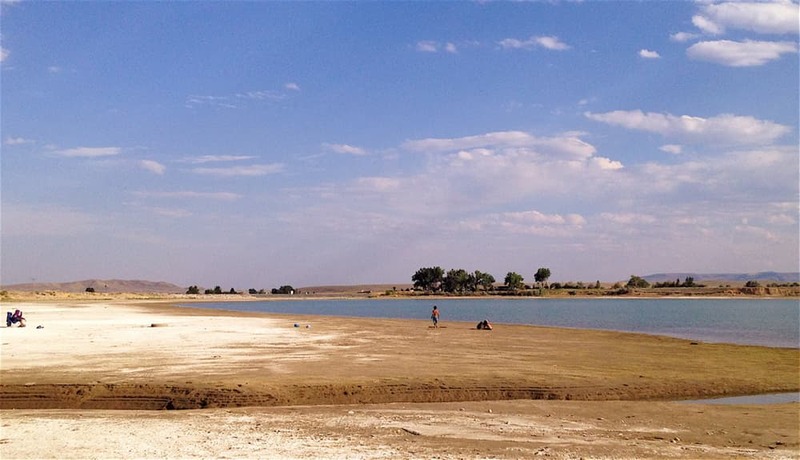 After the reservoir ran dry and Ray Canal irrigators like Robinson ran out of water, Ray Lake, another water source that feeds a different part of the system, remained online. Water users who jammed the water board meeting blame the BIA for not developing and executing a plan that would give everyone the same amount of water. Robinson, who is also a member of the water board, was speaking at a board meeting in Fort Washakie last month. Tribal leaders, the BIA and local water users, Indians and non-Indians, gathered to air grievances and look for a common path forward. One in three acres on the system is owned or leased by a non-Indian, according to Mitch Cottenoir, the tribal water engineer. Robinson went on to say that the board addressed the issue at the end of last year. The BIA, for its part, says the irrigators on Ray Canal wanted their water and got it. The year was hot. Snow and rain were scarce. When the reservoir was empty and Ray Canal went dry, there was nothing more the BIA could do. Meanwhile, if there is water for other users, the BIA is going to deliver it. Anevski nearly always speaks for Allen, who spoke for less than three minutes at the meeting in Fort Washakie. Allen generally refers questions to Anevski in Billings. Water users are not satisfied with Anevski’s explanation of why some areas on the reservation get more water than others. They point out that most years since 2000 have been dry, but that better management guaranteed a more balanced use of water sources for Ray Canal and Ray Lake. They say there was more water for everyone in the years before Allen’s arrival as project manager in 2012. Allen, they say, does not understand the local system. 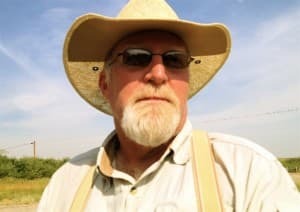 “The ditch rider who knew the upper system and could get everyone water, he resigned,” said Gail O’Neal, who ranches near Plunkett Road in Boulder Flats. The man resigned in January of this year, between seasons. “They did not replace him,” O’Neal said. She says the new ditch rider lets water flow down the canal without getting her headgates open. “The new ditch rider told me I wasted my water,” she said in frustration. Because BIA does not have measuring devices on all of the canals, according to Anevski, it can be difficult to determine who got how much water in which year. Documenting the alleged shortfalls of BIA water management may be an insurmountable challenge for most water users. Even so, local ranchers have another method for measuring adequate irrigation. They count bales of hay per acre each year. This year and last, ranchers on Ray Canal say they harvested one bale of hay for every three they put up in 2006 and 2008. Even when communication is good, water is lost because the 100-year-old BIA-controlled system has been poorly maintained. Unlined canals let water seep into fields and gullies where it is not needed. Canals and ditches have not been dredged, slowing the flow and shrinking the volume of water. Diversion structures fail to open or close all the way, which limits the control that ditch riders have on the direction of water. Irrigators who attended the water board meeting with the BIA last month say the canals have not been cleaned and dredged, the flow is slow or nonexistent to some headgates on the system, and calls to repair broken structures or seepage go unanswered for years at a time. In a letter to U.S. Sen. John Barrasso (R-Wyoming) in 2011, Cottenoir noted that the last comprehensive, “project-wide rehabilitation” of the system came in the 1930s. A 1994 study showed that 60 percent of the 1,200 structures on the system needed repair, and that 45 percent of the 190 miles of laterals and canals needed repair or reconstruction. Seventeen years later, the list of needed repairs had grown longer, according to Cottenoir’s letter. The BIA says it cannot make repairs because it lacks the money. The agency receives about $1 million a year in federal funding for 15 irrigation systems on Indian lands across the West. Most of the money spent on the systems comes from user fees. But once the user fees are paid into the system — more than $700,000 a year at $21 and $14 an acre — that money belongs to the federal government. BIA officials, not the water users, decide how it is to be invested, how much goes for salaries, and how much is to be held in reserve to fund future repairs to major structures like Washakie Dam. Irrigators at the water board pointed out over and over that the BIA is spending the water users’ money. Their rates have nearly doubled in two decades. The fee was $10.90 per acre in 1991. And as they pay more, they see the system deteriorating. Some longtime irrigators estimate deferred maintenance at $100 million. But no one seems to agree on a dollar figure, or on a list of projects that need to be tackled first. The BIA has budgeted or spent almost $7 million in state and federal money on enhancements of the system, primarily large diversion structures. But even these improvements are controversial, because they contain fish screens that guide the fish away from the irrigation system through underground passages back to the river. And although they save hundreds of thousands of fish, according to Cottenoir and the U.S. Fish and Wildlife Service, irrigators say they slow the flow of water. Despite the big improvements, the canals that carry water to the headgates of individual irrigators remain in disrepair. 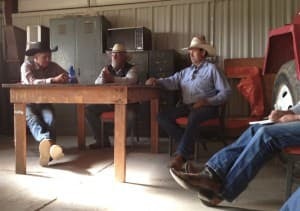 And the meeting room in Fort Washakie was still jammed with irrigators who say they have no water. In fact, how far water users’ money goes depends in no small part on who spends it. After fighting their own battles with BIA and doing a great deal of unreimbursed maintenance on the system, irrigators on the Crowheart system eventually struck a new deal with the agency. The farmers pay their user fees to BIA, but the agency returns a portion of the money to the farmer-controlled nonprofit to spend on maintaining the system. “We got one half of the money back,” said Will O’Neal. The Crowheart Bench Water Users Association hires its own ditch rider. It chooses the parts of the system to maintain. “We clean canals for $1.25 a foot,” O’Neal said. “All of our projects are put out to competitive bid. The BIA might spend $50,000 for a quarter mile.” At the CBWUA rate, cleaning a quarter mile of canal costs $1,650. Although the local nonprofit is actually getting its own members’ money back, the federal government regards the group as a federal contractor. When the money is paid into the BIA accounts, it becomes federal money. To receive the federal contracts, the nonprofit must be registered with the government, hold a valid DUNS number, and file miles of paperwork. But in the end, the group regains control of its land and water. With the sense of ownership comes an increased willingness to volunteer time and resources. Members drive their own vehicles without mileage reimbursement. One man claimed that he drove his pickup 70,000 miles in a year and barely left the reservation. Stories of irrigators getting together to work on canals and laterals are common. When structures need to be repaired or rebuilt, the group joins forces to pour concrete. Asked how this culture of cooperation and mutual assistance got its start, Lyle Alexander pointed to Tim Schell, a former Crowheart hay farmer who now works at the airport in Dubois and flies a plane tracking radio collars on wildlife. Schell, 65, came to Lander from western North Carolina in 1973 to work as an instructor at the National Outdoor Leadership School. 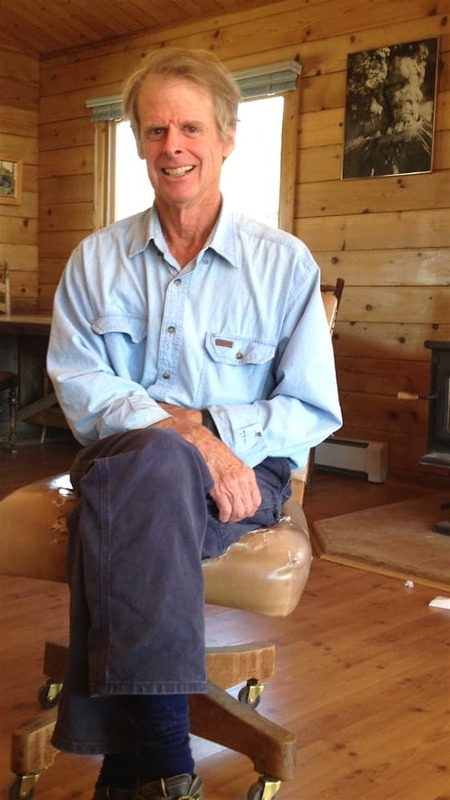 He left NOLS in 1976 to take a job on a ranch near Crowheart. Two years later, at the age of 30, he raised his hand at an auction and bought 300 acres on the A-Canal irrigation system operated by the BIA. He began growing hay. When he complained that he was not getting enough water down his canal, the ditch rider said that the canal bank had a low spot. Schell hooked up a scraper — an earth-moving shovel that he could drag along behind a tractor — and removed silt from the bottom of the canal and piled it on the bank to deepen the channel. When the canal was clear, Schell called the ditch rider, who took one look at it and diverted more water into the canal. Schell and the people downstream on the canal all got more water. Once again, the ditch rider gave him more water. The tribal water board came and looked at the canal. They said nothing, but did not disapprove. Schell invited other irrigators to participate. Schell made improvements in the system that helped his own fields, but he was careful to do work that helped others as well. Lyle Alexander was one of the neighbors who saw and helped. Schell, who learned to fly in 1984 and had an airstrip on his farm, showed his neighbors the canals from the air. The coming-together process took a long time. First Schell, Alexander and their neighbors had to learn to trust one another. Then they needed to gain the trust of the BIA. “I never ever asked the BIA for my money back,” Schell said. “I did ask them to give us part of our O&M money back so that we could hire contractors to do the work.” “O&M” refers to “operation and management,” one of the ways the BIA refers to user fees. Schell and Alexander started the original users group in Crowheart, on the A-Canal system. They prospered and bought more land. Schell had 600 acres when he sold out in 2004. Alexander farms 1,800 irrigated acres now. And to make it work, Schell says, the local people need to call the shots and work together. Fred Tanning, the Ray Canal farmer who stopped leasing land because he could no longer get water to irrigate it, attended a recent Monday morning meeting of the Crowheart water user groups. He was representing the Ray Canal irrigators, who want to join forces with other reservation irrigators to create a water users group that might eventually take back O&M money from the BIA and use it to maintain failing canals. The new group, which did not yet have a name at the time, aims to begin by electing a board and seeking recognition from the tribes. They will ask the Joint Business Council, the Tribal Water Engineer and the water board for their blessings before approaching the BIA. Then the group must become a 501(c)(3) and register as a contractor with the federal government. The Crowheart group is a simple democracy for most issues. Each irrigator gets one vote. But for projects that require scalable investment, in which people stand to profit or lose money in proportion to the size of their farms, each acre under irrigation gets one vote. Given the size of the new water users group, the board will have to guarantee that people with different interests work together. To be effective, the Ray Canal and Ray Lake irrigators must be in the same group. Boulder Flats must stand with Arapahoe. 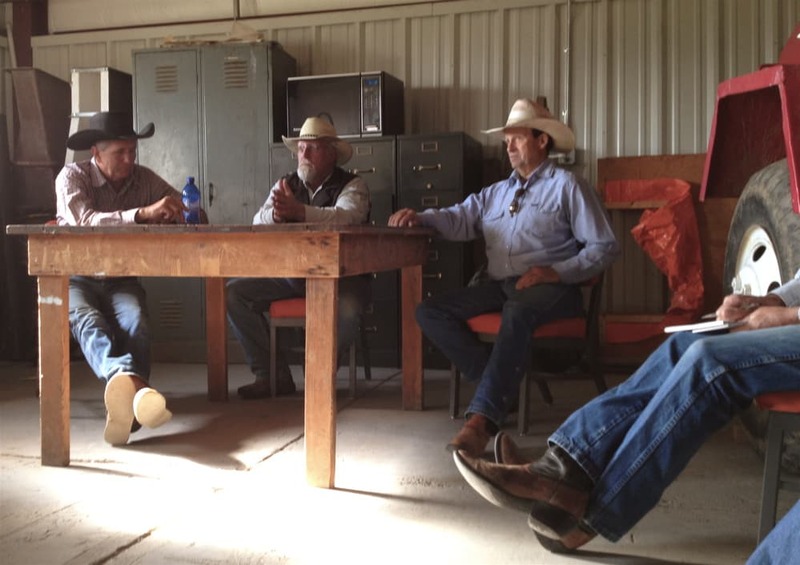 Many of the Crowheart irrigators attended the Fort Washakie meeting. They have watched the often fruitless negotiations between the BIA and the irrigators to the south of their lands. They have spent years learning to manage their own system. For the most part, Alexander says, their communication with the BIA is effective today. The big challenge for the new users group will be learning to get along with each other — just as it was in the beginning in Crowheart. “Get people from different geographic areas on your board,” Alexander advised. The Crowheart groups succeeded early on because everyone drew water from the same canals on a compact system. What was good for one was good for all. In the larger system — nearly 30,000 acres strung out along 150 miles of canal from Fort Washakie to Arapahoe — resolving differences will be key. — Ron Feemster covers the Wind River Indian Reservation for WyoFile in addition to his duties as a general reporter. Feemster was a Visiting Professor of Journalism at the Indian Institute of Journalism & New Media in Bangalore, India, and previously taught journalism at Northwest College in Powell. He has reported for The New York Times, Associated Press, Newsday, NPR and others. Contact Ron at ron@wyofile.com. Thank you for this article. It includes interesting detail/history for those of us who are outside these irrigation districts but care how these lands and waters can thrive in drought conditions. Working together is never easy when conditions are tough; it’s good to know some folks pull it off well. Good to know others want to make a change. We’re going to have to save ourselves with our own hard work, good intentions and political savvy. the report is good but twists a little bit of the truth. for one the BIA area office in Billings may get a million dollars, but the wind river irrigation is 100% user fee funded. second, the BIA irrigation did not spend 7million on the system, the tribes petitioned the united states for matching rehab funds to use with a 3.5 million dollar WWDC award for rehab….the BIA did Nothing but sign off on Federal portion of money spent and get in the way with red tape. Thanks so much for the comments, Mr. Trosper. Your point about the $1 million is well taken. As the story reports, the BIA has $1 million a year to spend on 15 irrigation projects in the West. So on average they could spend less than $70,000 on each project, probably less than 10 percent of what the users pay in fees. Because the BIA generally concentrates its money into one or two projects, according to Mr. Anevski of the BIA, it would be a rare year in which the Wind River system gets any money at all. So yes, the only source of funding in most years is user fees. With respect to the second point, the money is indeed mired in red tape. But what has not been spent is budgeted, according to the BIA. Whether the money can be put to use is an open question. Certainly, the negotiations with BIA look dicey on this point. I think the Midvale question is worth looking into in another story. 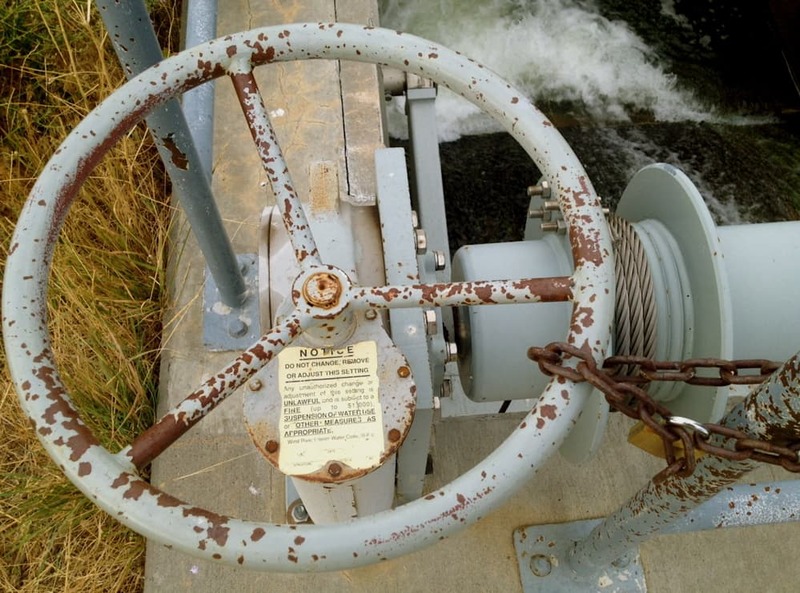 As I understand it, there is an important technical reason that irrigation districts like Midvale can receive money that the Wind River system cannot. The districts have the power to put liens on — or even foreclose on — water users’ property if they do not pay their fees, repay loans, etc. Nobody can foreclose on trust land. Tim Schell told me he pursued this strategy in Crowheart decades ago, but gave up his plan to become an irrigation district when he ran into this requirement. What would have to change here, at minimum, are state laws about conditions on this money. That story gets very complicated in a hurry. But I’m interested in pursuing it. In any case, thank you for the thoughtful reading of the story. Irrigation is a complicated subject, even for irrigators. It’s been a steep learning curve for me as a reporter, too. An excellent story on how on-the-ground users can manage a common property resource much better than a government agency. The challenge for the Crowheart users will be to keep the working relationships they’ve created among themselves still working. They’ve certainly done a good job so far.